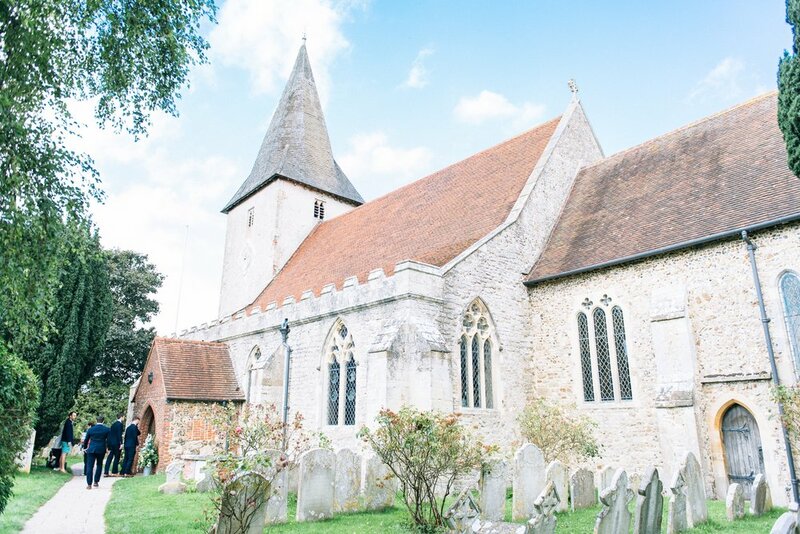 This glorious sunny wedding in Bosham was just AMAZING! 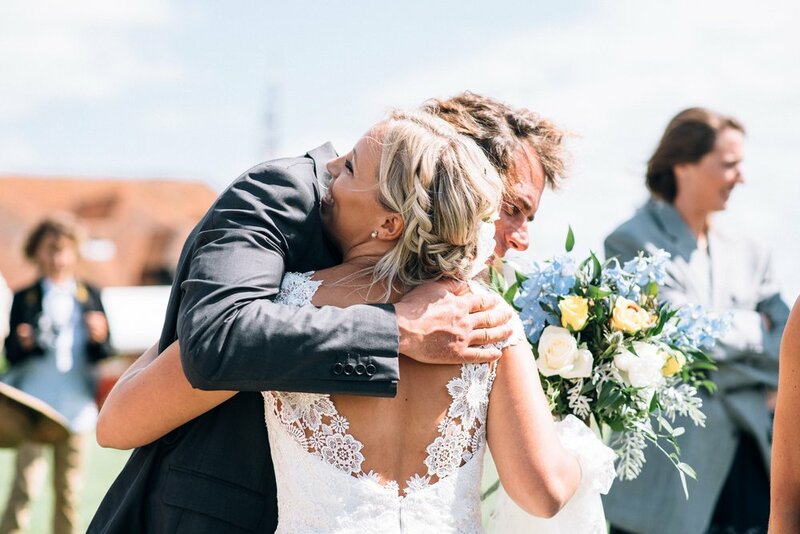 Mike and Georgia were just the loveliest couple, who had a fun, relaxed and personal day. A highlight for me was photographing them leaving their wedding ceremony by boat! I started the day with the boys at Mike's house in Bosham, where they were getting ready. 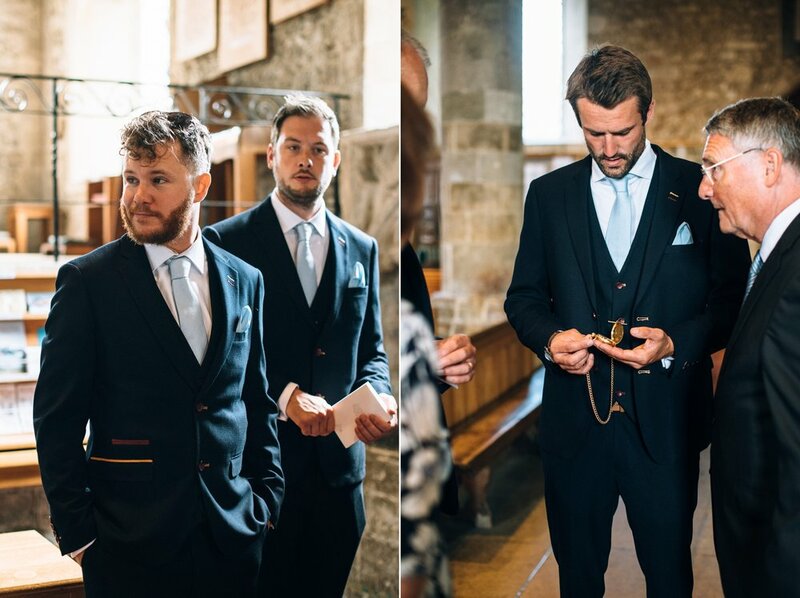 Mike had made leather belts for each of his ushers - I've no idea how but they were amazing! 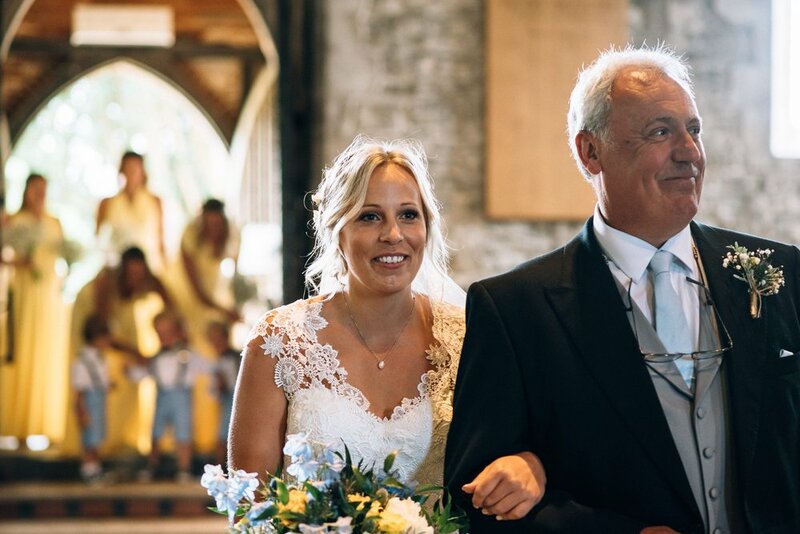 After a quick beer at The Anchor Bleu they headed to the beautiful Holy Trinity Church where the guests soon started arriving. As it's a popular tourist village, there were a lot of interested visitors standing around the edge of the church, waiting to catch a glimpse of the bride. Georgia and her bridesmaids soon arrived, in a VW campervan. 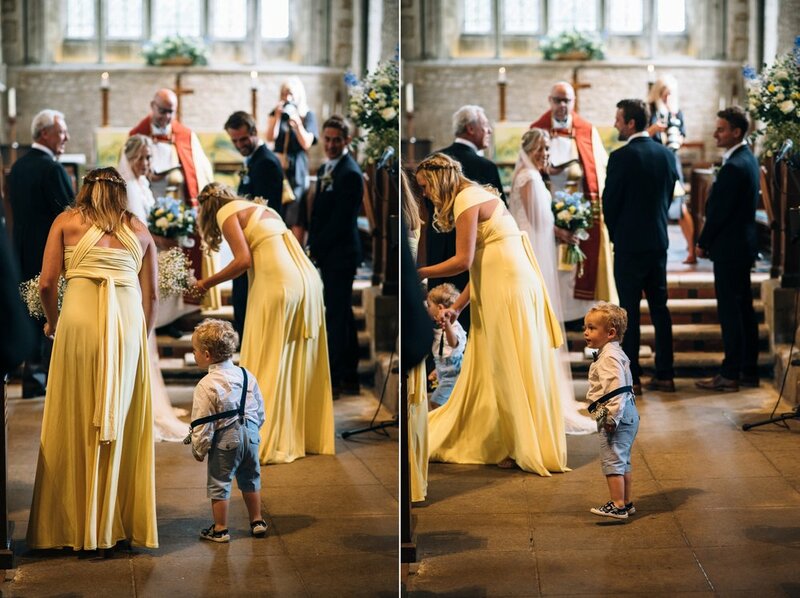 They all looked stunning, and had the cutest little pageboys with them - their three nephews, all aged 2! 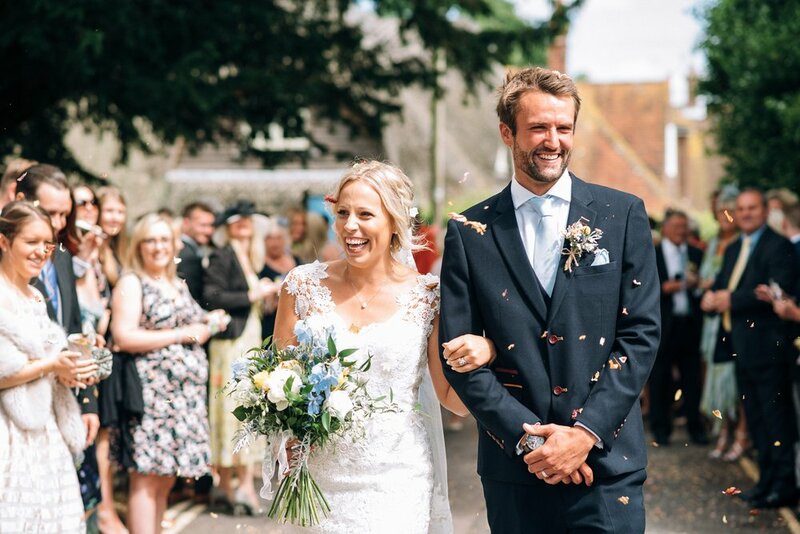 After a lovely service the guests formed lines outside the church and threw confetti, before heading down to Bosham Quay. After a few photos, Mike and Georgia climbed into a powerboat (decorated with bunting!) which took them to their reception. The reception was held at Georgia's parents' house, in their beautiful garden. They had a huge tipi, and SO many handmade details (see the photos below) which looked amazing.